System saves cost and time during hot summer months. A gas pipeline owned by Petrobras Energy Group runs through the rainforest in the Brazilian Amazon region. Located between Urucú and Manaus, there are two compressor stations required to boost the gas pressure in the pipeline for providing gas flow. The stations can only be accessed via a complex route along rivers in the Amazon rainforest or by helicopter. Reliability and low maintenance equipment is critical at the compressor stations due to the challenges related to accessing them. The natural gas for this 663-kilometer (km) pipeline is extracted from a gas field in Urucú and piped to the city of Manaus. This gas is provided to refineries and power plants. Because generators driven by gas powered turbines are used at the power plants to manage energy peaks, gas demand varies. This requires the compressors at the Coari and Juaruna compressor stations to start and stop reliably to effectively manage the demand. One of the critical components for ensuring the reliable start of the compressors is the delivery of seal gas when the compressor starts, stops and is in standby. For normal operation, filtered product gas is supplied to the seals. This is accomplished by taking gas from the compressor discharge and flowing it through a filter, using it to clean and flush the seal cavity, which is at suction pressure. This ensures that the seal is provided clean gas to deliver reliable operation. When the compressor runs slow or comes to a standstill, there is low or no differential pressure between the compressor discharge and suction, resulting in low or no seal gas flow. To manage this, an alternate means of providing clean seal gas is required. To achieve this seal gas flow initially, during commissioning and initial operation of the compressor stations in 2009, the seals were supplied with nitrogen from tanks. This consumed a complete set of nitrogen tanks with each startup process. As a result, the operator, an oil and gas transportation company, was continually transporting nitrogen tanks back and forth via the river route. Demand for nitrogen was particularly high during summer months when electricity to operate air conditioning systems increased sharply. To reduce costs, the operator decided to fill the tanks with nitrogen from a truck equipped with a small compressor. Because there are no roads to access the sites, it increased costs and was time-consuming to transport the trucks by river to the compressor stations. In addition, the resource-intensive process obstructed one of the initial design requirements for the stations, which was remotely operated compressors from Rio de Janeiro to handle the varying gas demand. The nitrogen used for seal gas during the start, stop and standby situations was an unacceptable permanent solution. The operator investigated possibilities to reduce costs and eliminate manpower associated with supplying the seal gas during these situations; a better long-term solution was required. In 2012 the decision was made to assess seal gas boosters, which used the product gas during low differential pressure and eliminated the nitrogen demand. When low or no seal gas flow occurs, a seal gas booster starts drawing gas from the compressor through the filter and delivering clean seal gas to the seals. This prevents contaminated product gas from entering the seal, which will affect the seal operation and potentially cause a seal failure during a compressor restart. Piston type seal gas boosters were identified as unreliable and high maintenance, so these were eliminated. 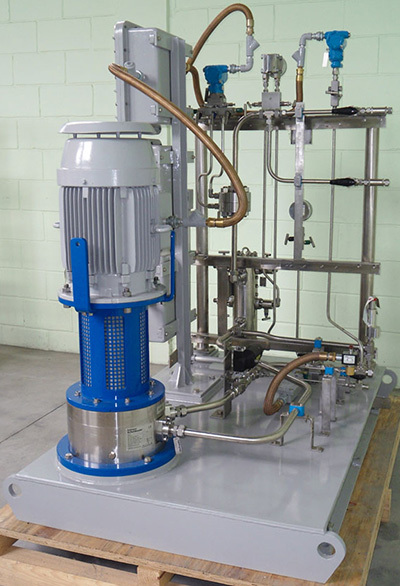 Knowing rotating equipment provided the higher reliability and lower maintenance requirements, it was determined that a rotating seal gas booster was the best solution. The operator found a seal gas booster, which requires virtually no maintenance, making it ideal for remotely operated compressors. These rotating seal gas boosters use a magnetic coupling to drive the rotating component, eliminating the need for a seal. The hermetically sealed unit eliminates leakage to prevent any climate-damaging methane from escaping into the atmosphere, making it an ideal choice for the rainforest. The operating principle was also simple, requiring no high demand of air utilities to operate. Only minimal air and power was required for implementation. With the high efficiency design of the magnetic coupling, which produces 98 percent less eddy current than a conventional magnetic coupling, the power consumption loss associated with torque transfer through the pressure barrier is dramatically reduced. These features made it the ideal seal gas booster to use for this application. Four seal gas booster systems were procured for this project. The engineering, manufacturing of the seal gas booster skids and site installation were all undertaken by the seal gas booster supplier. The systems consisted of the rotating seal gas booster, filters, pressure transmitters, flow transmitters, valves and a frequency converter. All components were connected to a programmable logic controller (PLC) to provide remote operation and monitoring for the systems. The electronic control of the seal gas booster optimized seal gas flow so just the right amount was provided to deliver the highest seal reliability with the most efficiency. 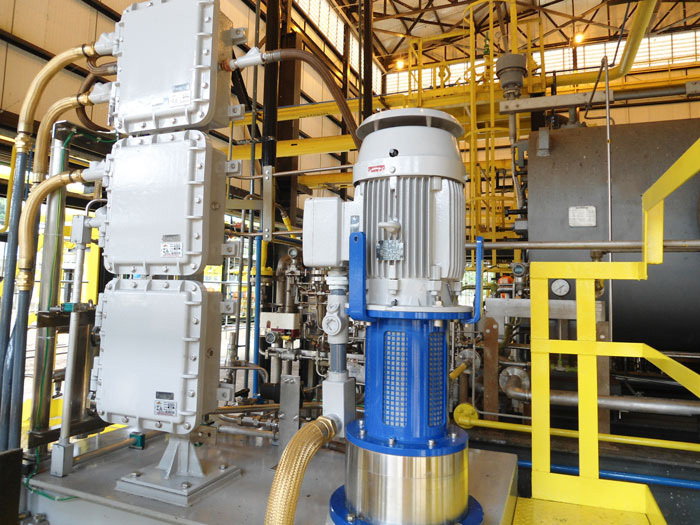 From the June 2013 installation and commissioning of the systems, the seal gas booster systems have been running smoothly without maintenance requirements. To ensure continued reliability of the seal gas boosters, preventative maintenance is required every five years, which substantially reduced cost and manpower required to support seal gas supply during transient conditions. In less than an eight-month period, the cost for incorporating the system was recovered. Using the rotating seal gas booster systems exceeded the operator’s expectations. The reliability of the seals and ability to remotely control the compressors from Rio de Janeiro has eliminated unnecessarily accessing the remote site, as well as the high costs associated with nitrogen previously used. Glenn Schmidt is an EagleBurgmann senior sales director for Turbomachinery Solutions. He provides technical and sales support related to dry gas seals, wet seals and seal systems. For more information visit eagleburgmannnow.com.